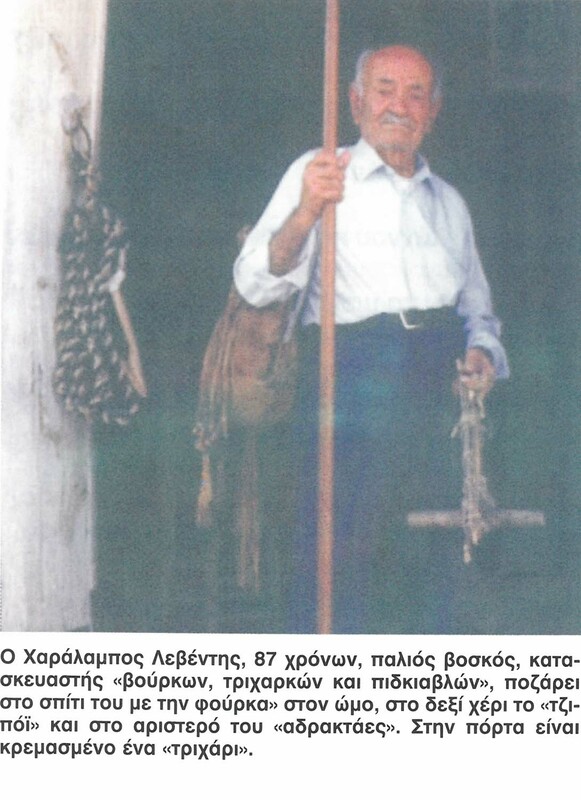 Many local traditional professions have survived in Apsiou, such as koumadaria producer, baker, tanner and rope (triharka) maker. 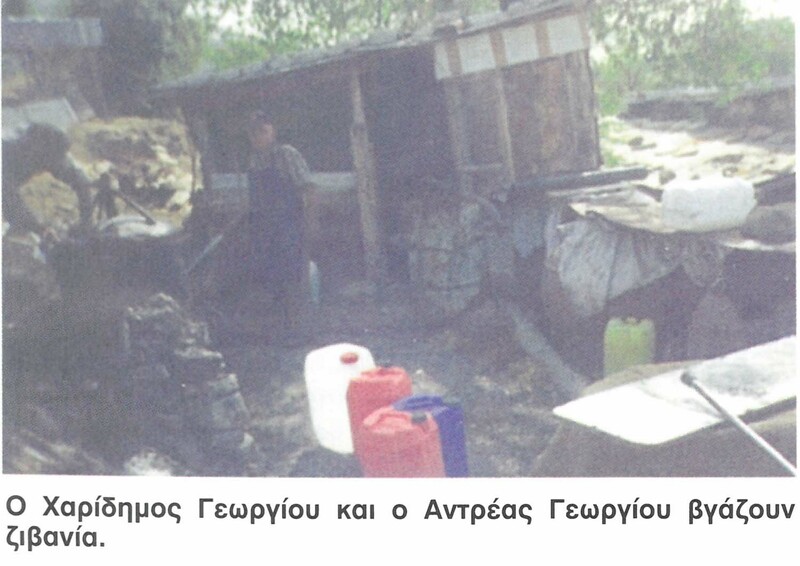 However, most of the people of Apsiou were farmers that cultivated land and harvested fruits. Farmers’ activities, as mentioned earlier, were the main activities for the villagers. Explicitly, they harvested locusts, grapes and olives according to the season. Phedias Ioannides, an inhabitant of Apsiou mentions that “just before the harvest of locusts ended, vine harvest began. The harvest of olives followed, the sowing of seeds and these activities never ceased”. Phedias Ioannides provides us with interesting information regarding locusts’ harvest. 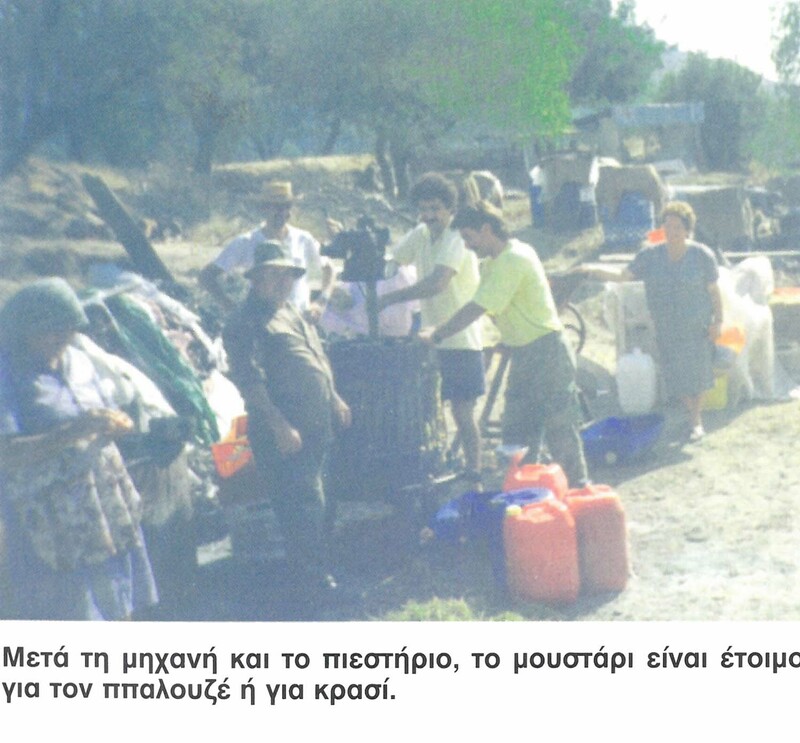 He explicitly mentions that many people from neighboring villages, young and old, took part in the harvest of locusts, “the black gold of Cyprus” as he calls it. What is more, some peasants were divided into groups and usually the younger ones would climb up the locust trees and shake the branches. The rest would gather the fruits that had fallen on the ground. Then someone would be responsible for the transportation of the locusts to the local Co-op or traders. Another activity, which was very popular, was wine harvest that usually started on the 9th of September and lasted for almost ten days. Right after harvest, the grapes were transferred to the wine press so as to produce the must. The must was then places in “basins for fermentation”, in order for the traditional wine of koumadaria to be produced. The process of grapes took place at the two wine presses of Apsiou that were named after their location until 1970. It must be noted that the production of koumadaria was another profession for the people of Apsiou. From medieval times, the inhabitants of Apsiou produced “the famous, tasteful, sweet wine” for the Koumadatoras and all the other nobles at the court of Kolossi. Unfortunately, the production of koumadaria is limited since it is considered profitless. The village was also known for the occupations of tanner, or slough maker and rope (triharka) maker in the past. Sloughs were made of goat leathers. 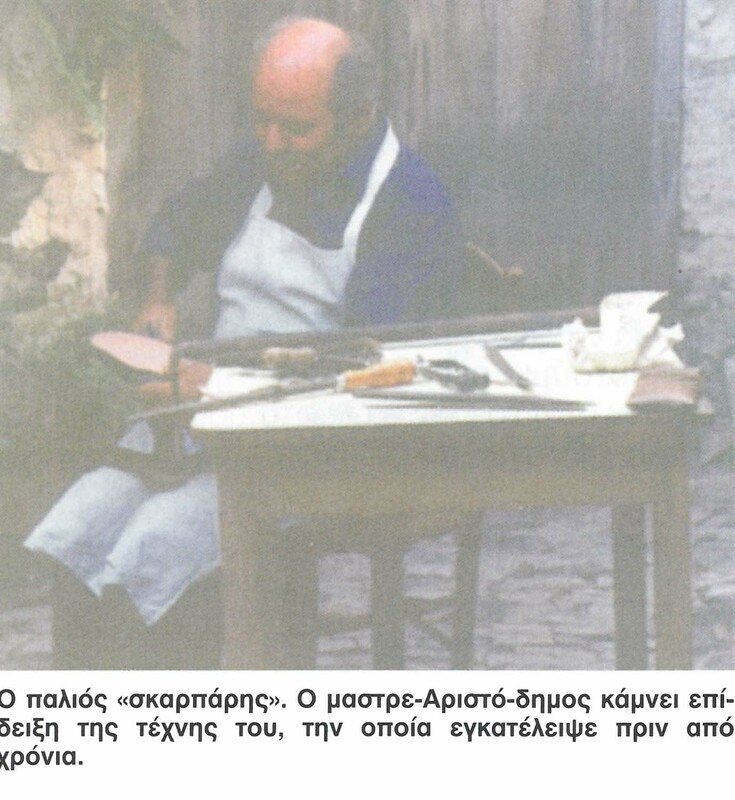 To be more explicit, as slough maker Charalambos Leventis mentions: “the neck (of the goat) is the lower part and it is sewn with leather strings. The other end is turned upside down, is torn and form the hanging strips”. Two stings are added to the “back” of the slough, so as to be easily transferred. He also mentions that the craft of slough making requires “patience, artistry and love”. He adds that “it needs two days for a slough to be made”. The craft of “triharka”, namely of making a kind of rope, took up less time than making a slough. That is why craftsmen that made sloughs ware also “triharka” makers. The aforementioned craftsman from Apsiou mentions that “trihatkes” are “ropes made of goat hairs” (triha=hair). These goat hairs were processed; namely, they were separated with the use of a special spindle, known as “adrakta”, so as to create thick threads”. Then, they were “woven and became hairy ropes”. Another traditional Apsiou profession is the one known as “matzipa”, or baker. Bakers used to bake their breads in oven with woods and that is why they were especially tasteful. It is worth mentioning that during the war -1940 until 1945-, bakers were obliged to add raisins to their breads so as to save on flour and spend all raisins. These breads were not tasteful and that is why all Apsiou bakers just added some raisins on the surface of the bread. Thus, they deceived all government employees that controlled breads. Except from koumadaria, Apsiou is known for many treats made from must, such as “palouzes, soutzoukos, kiofterka and epsima”. 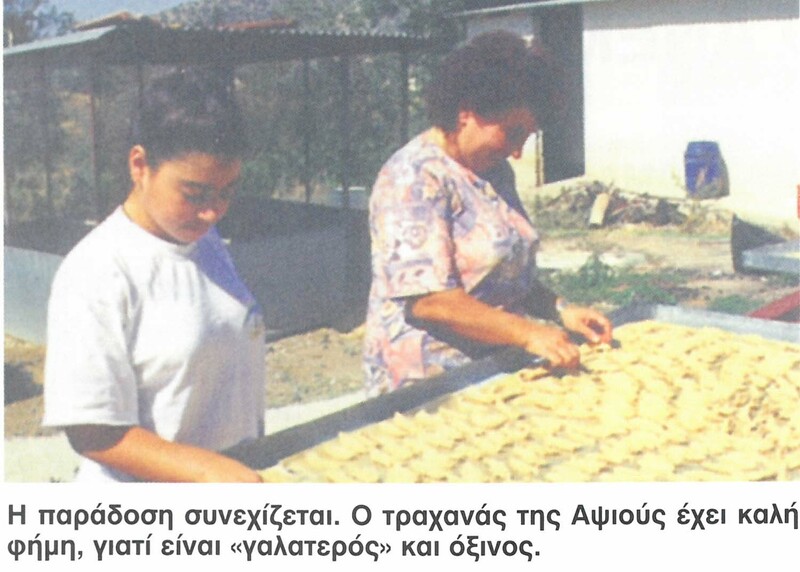 The women that make soutzoukos initially place dry nuts, mostly almonds, on threads and then dip those threads in must. Palouzes is a treat that mostly consists of must; it is what remains after soutzoukos is made. When palouzes is placed under the sun to dry, then it becomes what is known as kiofteri, an equally tasteful treat. 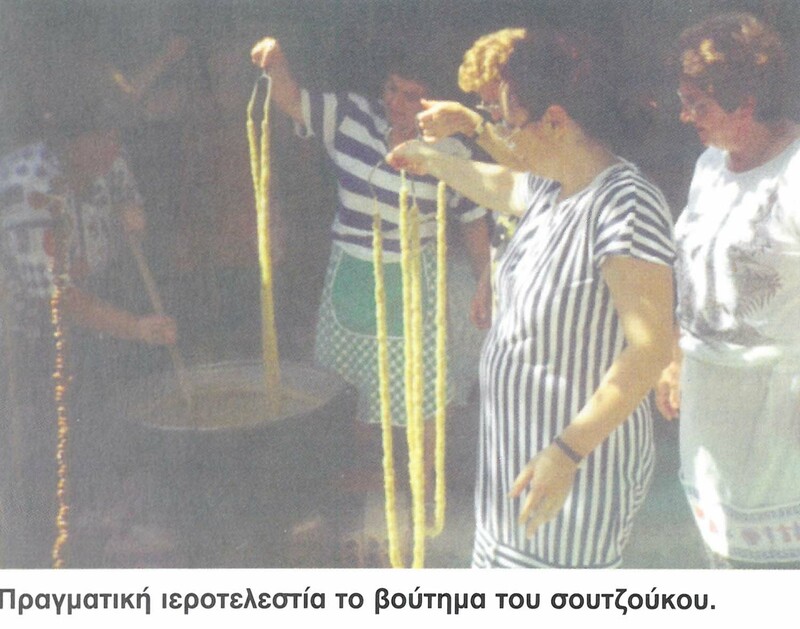 Even today, the inhabitants of Apsiou continue making several traditional trats, such as “kattimerka, daktula, pourekia, pies and xerotiana”. 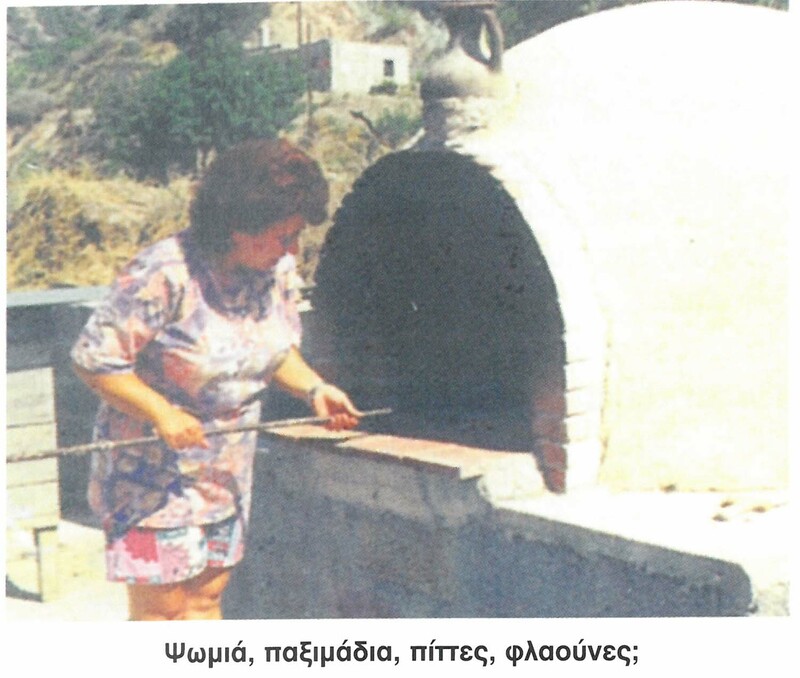 According to Eleni Polli-Stylli, an inhabitant of Apsiou most of these treats, except “xerotiana”, are made with dough. Finally, according to Costas Gavrielides, one of the “main wedding dishes” is prepared in Apsiou, namely “resi, which consists of lamb and thick wheat. This food was, according to tradition, prepared by the young women of the village. They initially boiled big pieces of lamb in big pots” and then added ground wheat. When the meat looked like porridge, this meant that “resi” was ready to be served at the wedding party.